kanga rules: an occasional serial by sirk | Kris + Books = Good. *Sometimes*. International bestselling author of m/m werekanga manga. This entry was posted in chapter 2, kanga rules, sirk. Bookmark the permalink. But what are HIS thoughts on washcloths? Thank you, Sean. I grew weary of the stalking and pleading from you and others. As one author to another, I advise you to not involve yourself with your readers on a day-to-day basis other than to gracefully accept their accolades. This is what I do. Also, I reject all forms of societal definitions of so-called sexuality, therefore I prefer not to be addressed as a male or a female. I am only Sirk. So much for not getting off on the wrong paw. Orannia: You are welcome, although I do not understand what there is to laugh about. Re: washcloths – I choose not to engage myself with Kris' 'maybe it's me' posts as I believe it enables her behaviour. Hey, too cool. I just emailed you for the next Sirk Saga AND checked your blog and there it was – a new chapter. Now don't get me wrong here but I have no idea where this is going. Oh dear, from what hole did Sirk arise? *clears throat* of course I have to thank Sirk once again for a entertaining episode on the lives of were-kanga´s. Kris' Mumma: I do not give spoliers nor do I play favourites. You can wait along with my other fans. Ingrid: Given the second half of your comment is acceptable, I shall give you the benefit of the doubt regarding the first. I am getting scared now! You should be, Ingrid. She scares the hell outta me! True. I am thankful however, that she is for all intents and purposes agoraphobic. Only leaving her home to undertake research trips to observe her beloved kangaroos. Kris, how do you know despite Sirk's protestations, that s/h/it is a she? Is this one of those m/m literary scandals where a woman is trying to pass herself off as a gay man? Interesting question Sean! What do you say to that Sissy? Oh sorry – I mean Sirk. AND when do I get to meet this up and coming, soon to be famous (in what century?) author? Mumma, I understand the illustrous Sirk is agoraphobic so you will have to visit her/him/it. From what little I know of the reclusive Sirk, I am 99% per certain that Sirk is as unimpressed by questions about Sirk's sexuality as Sirk is by smartarsery. Ohhhh. What will happen next? The drama is building. This is so exciting. Thanks for another great chapter in the continuing saga of Whitey and the were-kangas. Kris: From what little I know of the reclusive Sirk, I am 99% per certain that Sirk is as unimpressed by questions about Sirk's sexuality as Sirk is by smartarsery. To the others, I am The Sirk. That is all you need know. Tam & Lily:I thank you for taking the time to add your positive thoughts. It is readers such as yourselves that make dealing with all of the rest of the commentators worthwhile. You are welcome, although I do not understand what there is to laugh about. I'm sorry Sirk 😦 I should explain – I was laughing with joy at being able to read another exciting installment! I understand your research takes time, and as an artist I cannot begin to understand the pressure you are under, so I try to patiently wait for each chapter. Unfortunately, my enthusiam got the better of me. Orannia: I like you the best so far. You would think that Kris would introduce the great SIRK to me considering I am a frequent visitor. Did you see Wave accused Sean of writing were kanga stories?? Tracy: And I'm sure that your joeys are well behaved because of it. Well done. Kris' Mumma: I do not live with Kris. Kris' Mumma & Ingrid: This is meant to be about Me and MY Work. I do not appreciate other author's being discussed on My Dime. Hey Sirk – were you at the Kansas City Zoo today because my girls saw kangas and I think maybe they got a picture of you! Do not be silly, Tracy. I am not a werekanga. 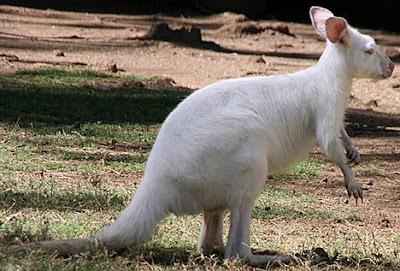 In point of fact, werekangas walk among us. This means they cannot be found in zoos.